Nemo 1 is a new liveaboard dive boat that will be sailing to the Similan Islands at the start of this season (2017) and its almost ready. 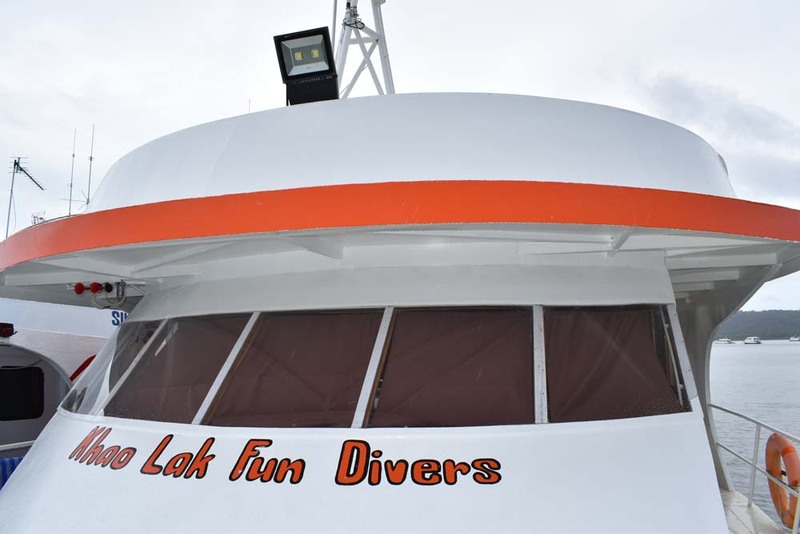 The new dive boat will be offering flexible liveaboard dive trips ranging from 1 night and up to 3+ nights on board. 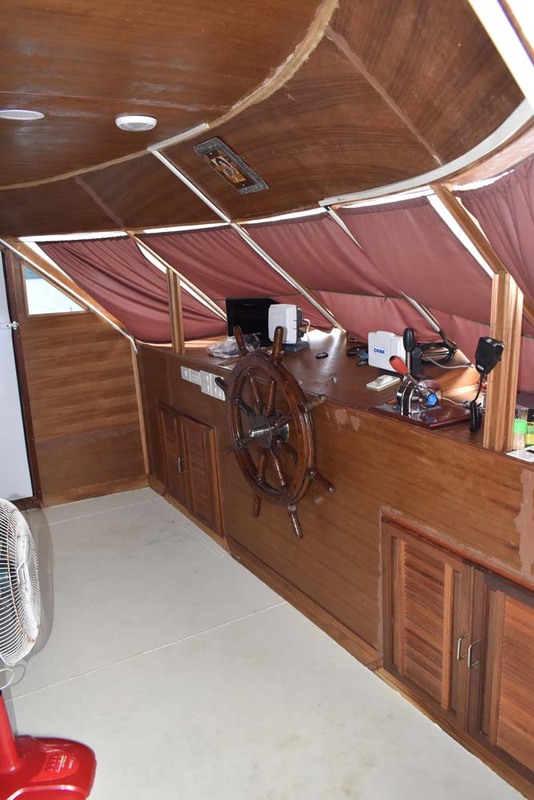 It is now wider than the older version and has more cabins, bathrooms and an indoor lounge area with air conditioning and a TV. The lounge area will be used for dive students to watch videos and for customers to relax. The engine bay area is very clean and looks set for the upcoming dive season. 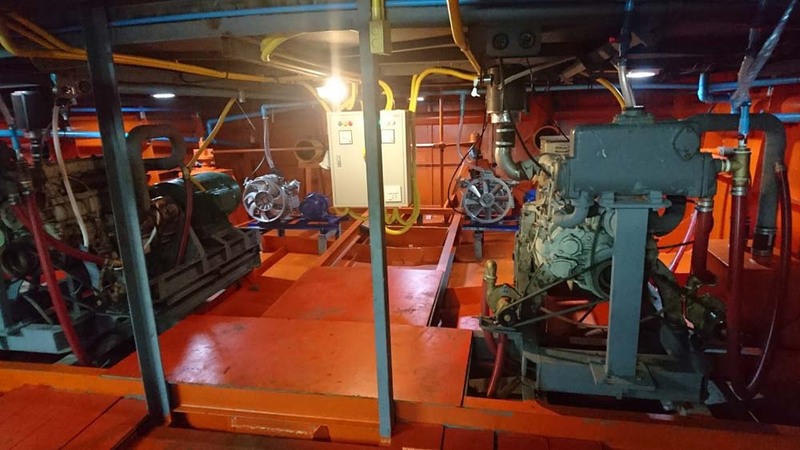 What’s New on MV Nemo 1? 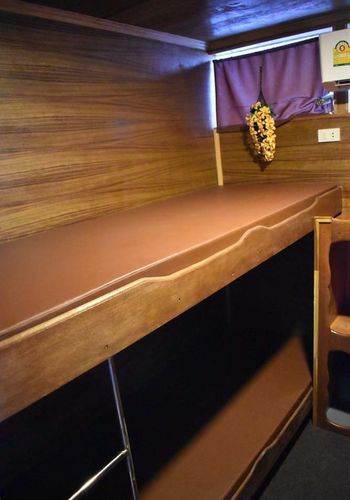 At the front of the main deck the boat has four double bed cabins and three bunk cabins which can hold up to four people. 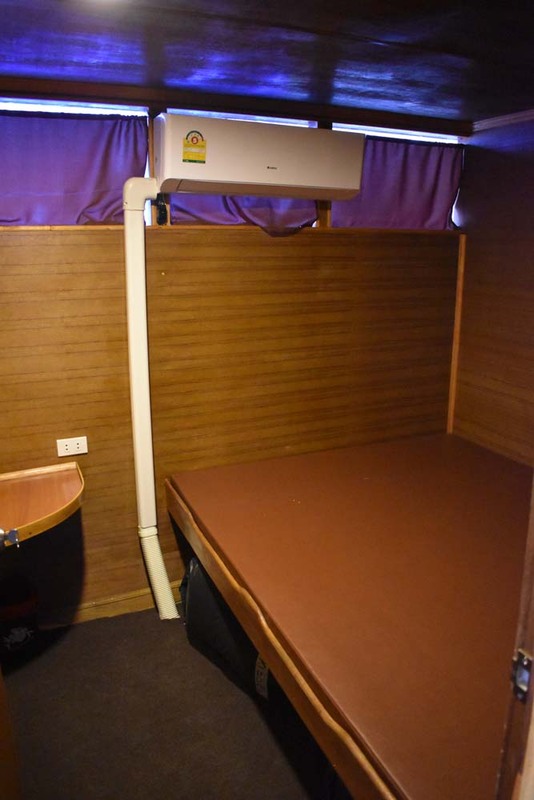 All the cabins have their own air conditioning unit, a window with a sea view, charging sockets, shelves and reading lights. All the bathrooms have western style toilets, hot showers and hand basins. 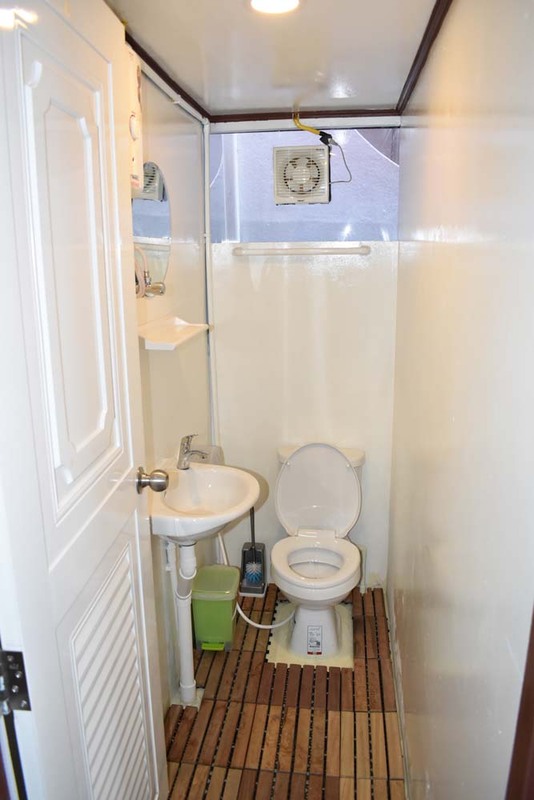 There are now more bathrooms with a total of four guest bathrooms on board the new liveaboard boat. Out on the dive deck there are two freshwater showers which will allow divers to rinse off straight after leaving the water. 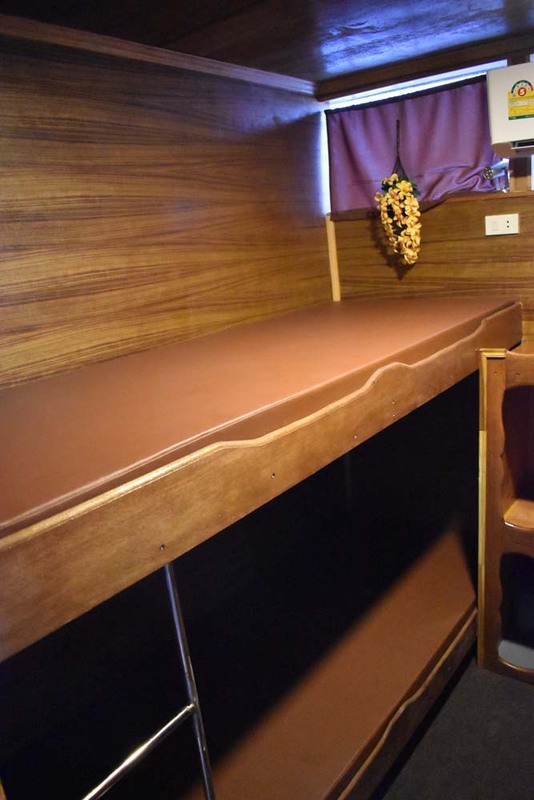 The new boat is now sporting a mini lounge which is air conditioned and has a television. 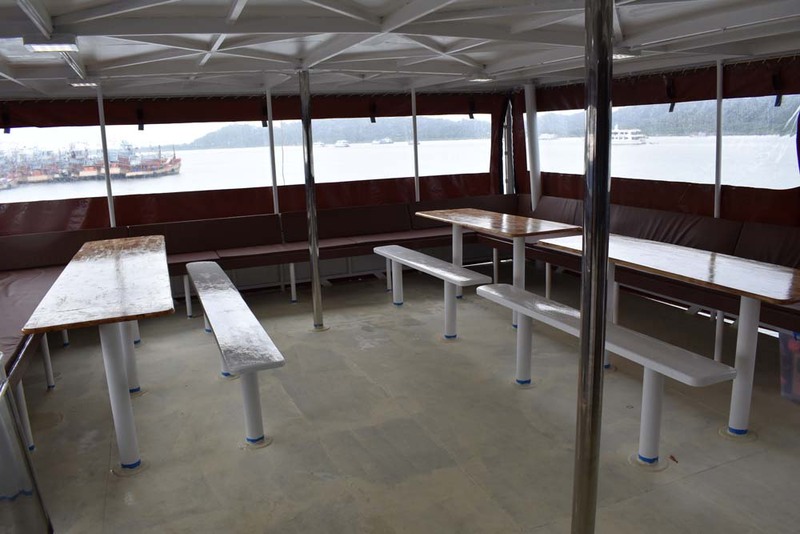 This will be used for PADI students to watch videos or to study in private and comfort. Also, when not being used by students Nemo 1 guest can use the mini lounge to chillout and relax. 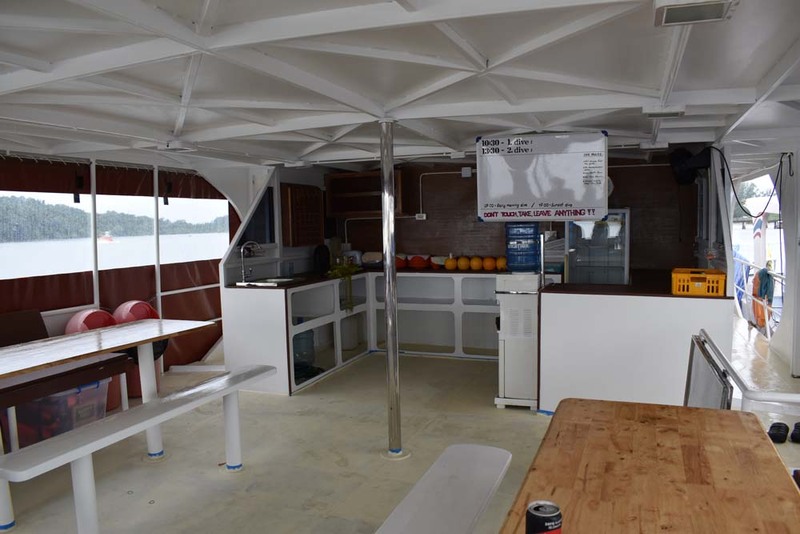 The dive deck is now a lot more spacious than it was on the older boat with custom made equipment slots and racks. 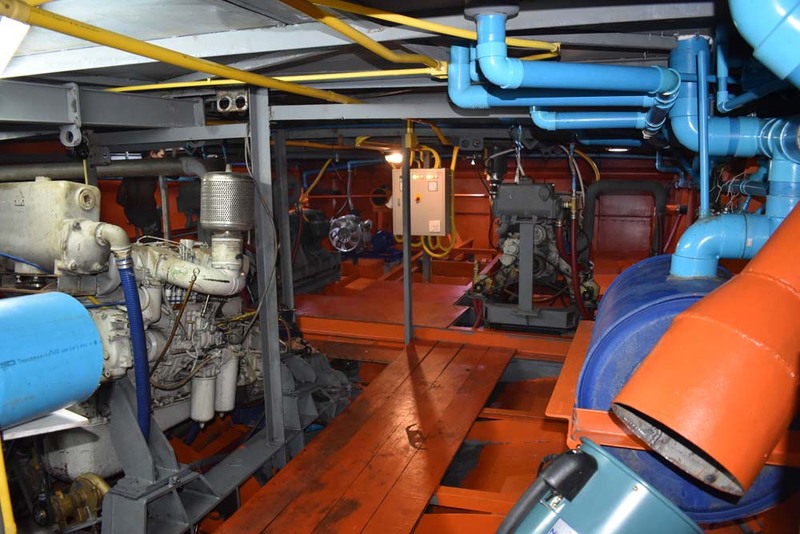 There is a brand-new Nitrox blender situated on the dive deck near the back allowing nitrox to be blended on board. Nemo 1 now two has custom made ladders which will make it much easier for divers to climb up at the end of their dive. 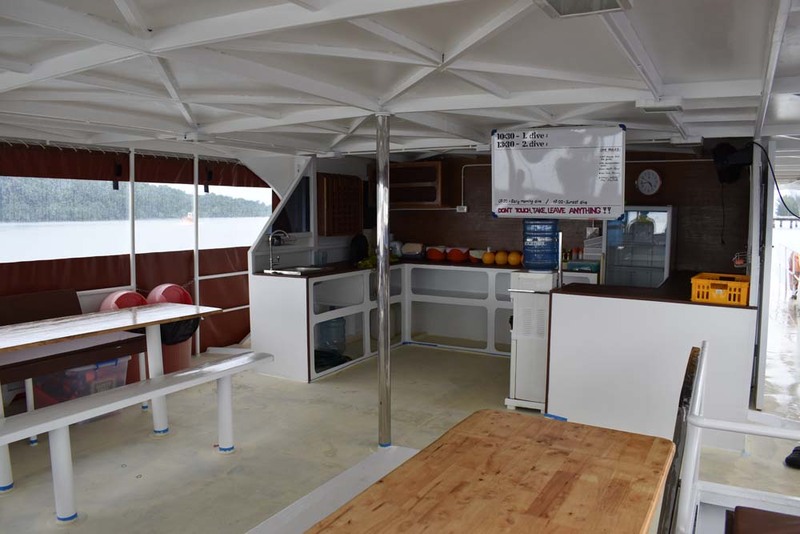 The dining area is located on the main deck is larger than on the older boat. 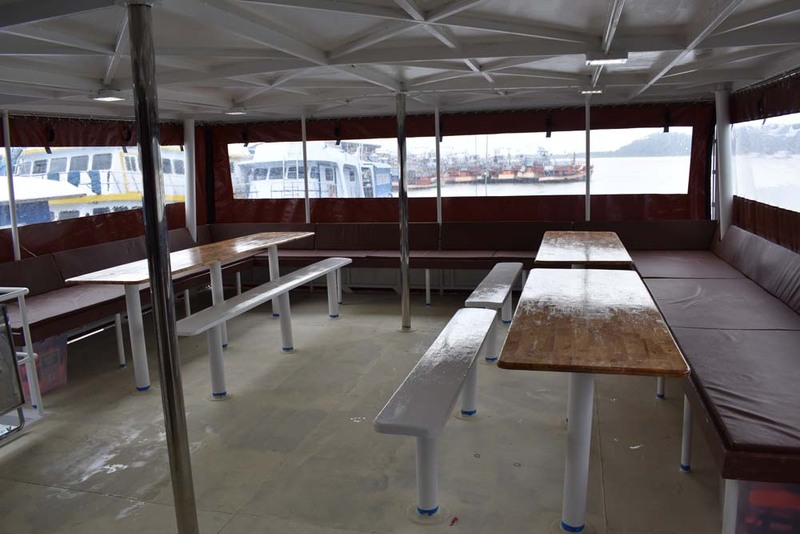 There are large tables which are surrounded by sofa benches. The sides of the dining area have a plastic covering which can be rolled up and down protecting the area from wind and rain if needed. The boat has been made with a steel hull. 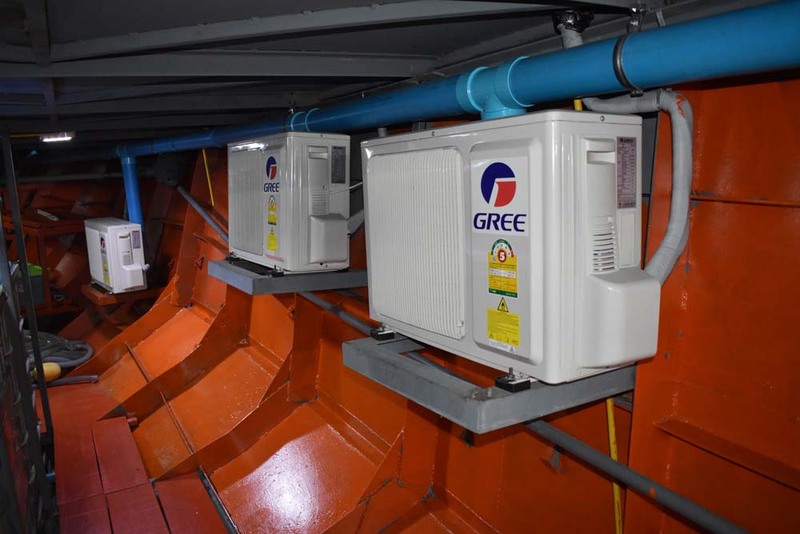 Downstairs inside the hull area are new engines, air-conditioning units and water tanks which all looks very clean and tidy. 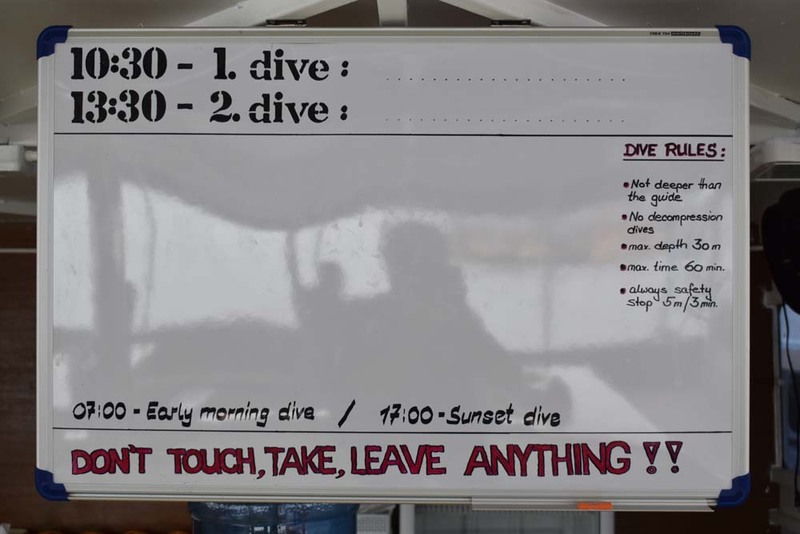 Nemo will keep the same flexible schedule which means visiting the best dives sites up to 28 times per week which include Koh Tachai and Koh Bon. Also, the schedule allows for beach visits when the boat is at the Similan Islands from Wednesdays to Sundays. The only increases in prices are ones that are in line with inflation and local costs. 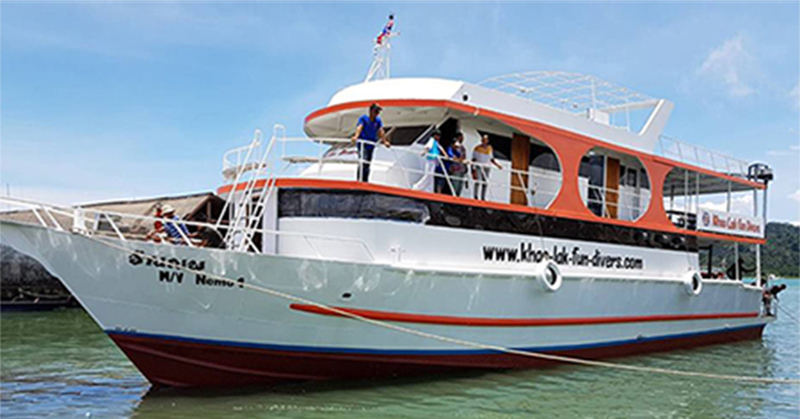 Also, guests who are staying in hotels or guest houses in the north of Khaolak will be able to get free transfers. The professional PADI team are made up of mostly German native speakers who are also fluent in English and some other languages. Nemo has no more than 4 divers following their dive guides in groups that have the same level of certification and experience. An honest and trustworthy experience is always provided with the highest safety standards. 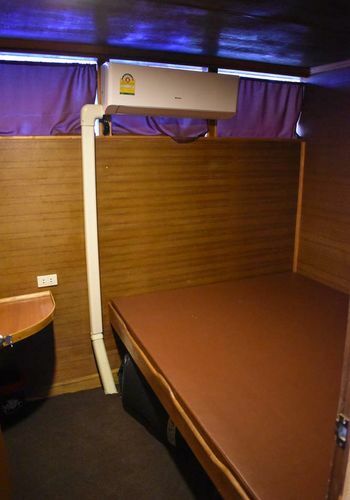 This allows for a safe and enjoyable trip without any unexpected unpleasant surprises. As you can see from the descriptions above and the images that the new MV Nemo 1 liveaboard boat is almost ready for this 2017/2018 season. Click the link Nemo 1 Similan liveaboard for more details, itineraries, schedules etc and if you would like to reserve a space please let us know.